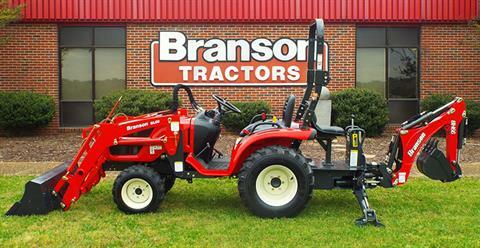 Branson Tractors designed their compact tractors with rugged, dependability in mind. The company is owned by Kukje Manufacturing of South Korea, a leader in the feld of agricultural equipment with over 50 years experience in design, development and manufacture of tractors and other heavy duty agricultural equipment. LOW PROFILE: The Compact Series tractors are only 88 in. tall at the top of the roll bar but still covers 13 in. of ground clearance making this unit very maneuverable in tight areas. HYDROSTATIC STEERING: One hydraulic pump is dedicated to the steering of this tractor assuring fingertip control no matter how hard the loader and rear 3 point hitch is being used. Steering pump output 3.6 GPM. 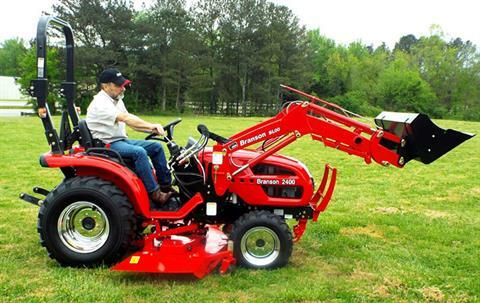 DUAL HYDRAULIC PUMPS: Assuring smooth operation of the front end loader, rear 3 pt. hitch and steering. Hydraulic pump output 4.8 GPM. Total hydraulic output is 8.4 GPM. 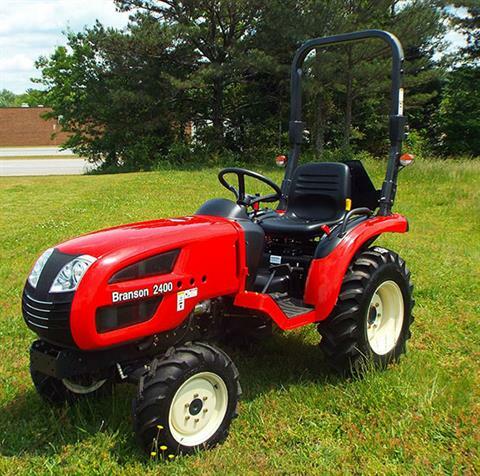 TWO TRANSMISSION OPTIONS: These tractors are offered with a fully hydrostatic transmission controlled with a forward and reverse pedal or a 6 speed manual transmission with 2 reverse gears. CAST IRON REAR END AND TRANSMISSION HOUSING: Cast iron is the strongest and best housing manufactured, making this tractor one of the heaviest in its class. 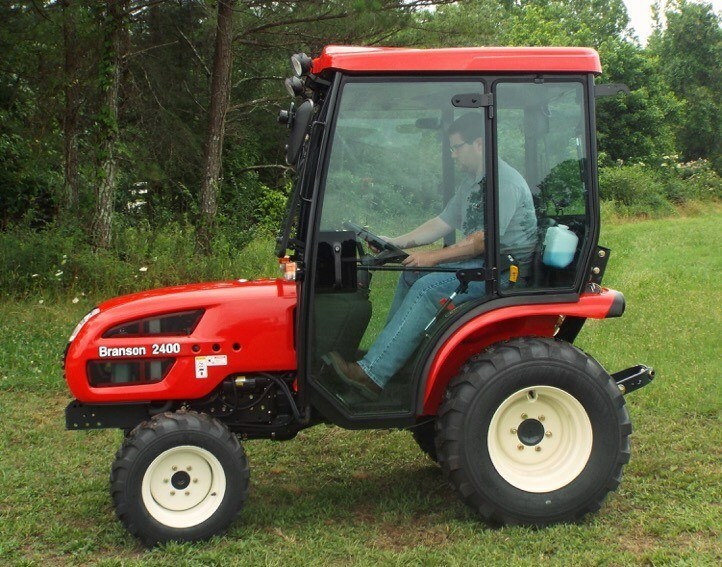 METAL HOOD, FENDERS WITH POWDER COAT PAINT FINISH: One piece metal hood raised by dual gas struts secured with a positive lock latch. Powder coat finish prevents UV damage to the paint, bringing longevity to the look of the unit. Steel, unlike fiberglass or plastic, will not crack in cold climates. 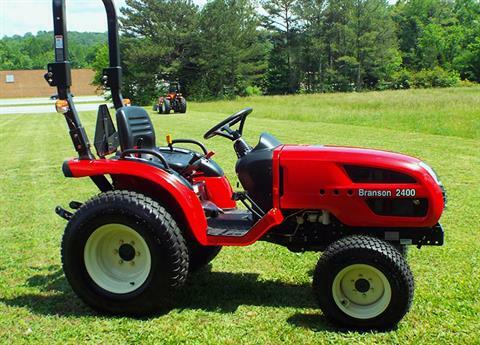 WET DISC BRAKES: Like our larger tractors these models come standard with wet disc brakes. The advantage of wet disc brakes is very simple, they are in a protected environment and the brake discs are running in hydraulic fluid. MID MOUNT PTO: With a mid mount PTO you now have the option of adding a 60 in. belly mower to these tractors. 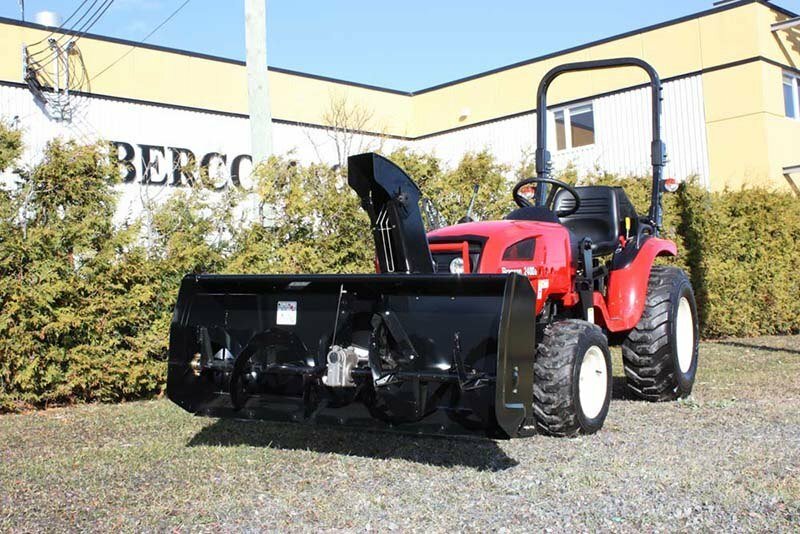 Other implements that can be powered by a mid PTO are front mount snow blowers and sweepers. 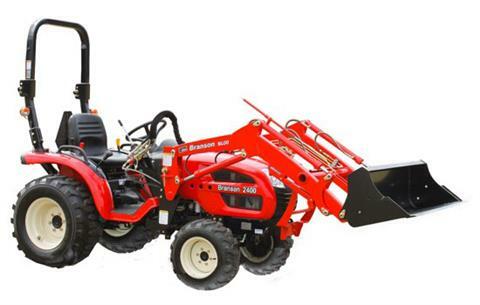 CATEGORY 1 REAR 3 PT HITCH: Standard category 1 rear 3 pt hitch allows the operator a host of attachments can be easily mounted. FLIP UP SEAT: No need to dry this seat off—simply flip down and go. This is a large seat with several forward and reverse settings. It’s easy to get comfortable in this driver’s seat—for any size of driver. At lift point - 1,500 lb.